Tania grew up in Italy and studied piano at the Conservatorio of Ferrara Girolamo Frescobaldi where she graduated in 2011 under the guidance of Fabrizio Lanzoni. She also studied Culture and Tradition of Middle Ages and Renaissance at the University of Ferrara. Besides studying and performing, since 2008, Tania has collaborated with several music institutions working as a teacher and as an accompanist. 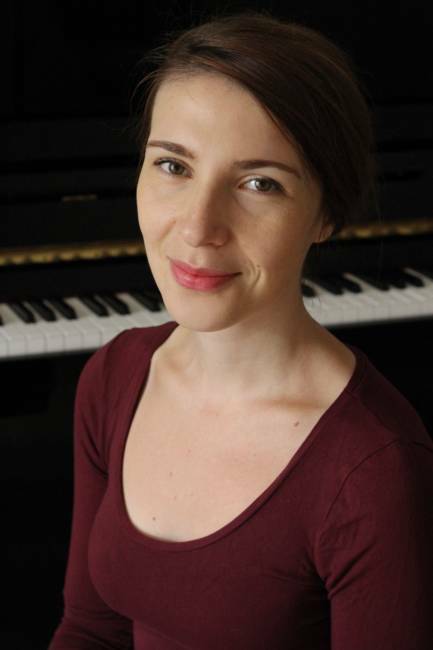 Tania became the Piano Maestros associate tutor in 2014, and she has been working with students form the age of four to adults, complete beginners to more advanced players. Tania is the specialist tutor for the Dogs and Birds piano method, which introduces piano playing to young children. She is a passionate and dedicated teacher who considers creativity and emotion to be essential components in music education. Tania is also available for lessons conducted in Italian. Tania has been the perfect teacher to introduce my son to the piano, teaching with enthusiasm and making the lessons fun between the playing and the theory. He really looks forward to his weekly half hour.